Bill joined the agency in 1977 and became the 4th generation to be at WHT&S. He graduated from the Virginia Military Institute in 1977 with a degree in Economics & Business. In 1985 earned the Certified Insurance Counselor (CIC) designation. Bill was named President/CEO of WHT&S in 1999. He holds licenses in Property & Casualty, Life & Health, Variable Annuity and has NASD Registrations Series 6/Series 63. Bill is very active in the community & industry serving on numerous Boards and Foundations over the years. 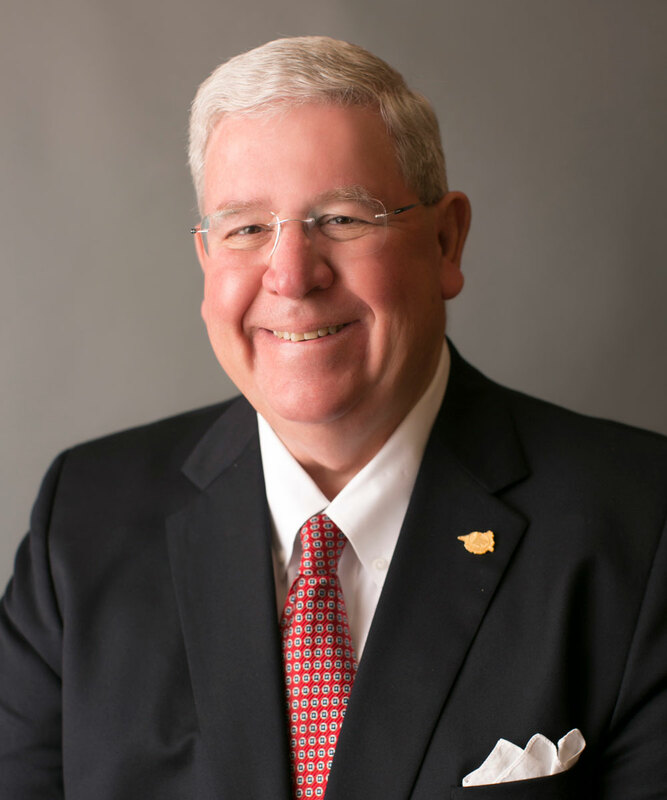 He serves as Chairman of the Richard Bland College Foundation, Petersburg Methodist Home for Girls Foundation, Virginia United Methodist Conference Finance & Audit Board, Virginia Financial Services Corp. Board and SunTrust Bank Regional Advisory Board. He is a Past Chairman of the Independent Insurance Agents of Virginia, Past member of the Virginia United Methodist Pension, Inc. Board, Past President of the Petersburg Chamber of Commerce, Past member of the VMI Keydet Club Board and Past President Petersburg Lions Club. He was named an Outstanding Young Virginian by the Virginia Jaycees in 1988. If Bill isn’t at the office or with family he can be found supporting the mission of the Boy Scouts of America. Bill is an Eagle Scout and has been awarded the Silver Beaver, Silver Antelope and National Outstanding Eagle Scout Award as an adult volunteer. He currently serves as Regional Commissioner for the Southern Region BSA, Past Area 7 President & Commissioner and Past Council President & Commissioner for the Heart of Virginia Council. Bill has served on staff for both the 2010 & 2017 National Jamborees.